High voltage is right - this dynamic six reel slot from Big Time Gaming is electrifying! With random sticky wilds, full reel wilds, two different types of free spins, 4096 ways to win and a multiplier of up to x66, this seems to us like the place to be. Can you really afford not to be here? Are you ready to move your feet to a disco beat in this incredible 6 reel slot with 4096 ways to win? Sparks of electricity will fly as you zip and zap your way through the dance floor and onto some serious wins! Tacos also make an appearance – does anyone really need much else? Disco meets a Mexican fiesta in this bright and colourful slot from NYX (Big Time Gaming). If you are struggling to find a connection between tacos and disco lights, relax – we don’t see it either – just go with the flow because it’s all about the wins in the Danger High Voltage online slot, anyway! Additionally, this NYX game gives you tons of control over the Autoplay option, allowing you to regulate the loss limit and ensuring you never spend more than you planned. This 4 row, 6 reel slot features a pretty impressive 4096 paylines and an RTP of 95.67% where winning combinations feature left to right adjacent symbols. The backdrop is a screen full of disco lights and flashing lasers that change colours, and the game is complete with an equally electronic soundtrack. A Day of the Dead skull, a bell, a disco ball, a taco and Ace-through-nine playing cards symbols fill the reels of the Danger High Voltage online slot, which have been listed in order of payout value. Wild Fire and Wild Electricity are full reel wilds, which appear only on reels two and five, and substitute for all symbols except the scatter. Obviously, full reel wilds always greatly increase your chances of landing winning combinations but in this slot, every Wild Electricity that substitutes on a winning payline will also cause your wins to be multiplied by six. 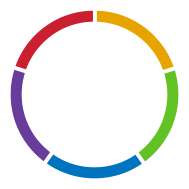 The last symbol you will come across is the Heart’s Desire Feature Selection symbol. Landing three or more of these scatters will let you choose between two different extra spin bonuses. 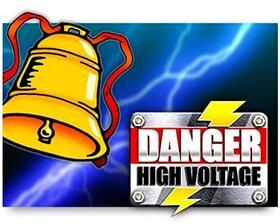 Keep reading our Danger High Voltage slot review to discover your profitable options! Landing three or more scatters in the Danger High Voltage online slot will let you choose between Higher Voltage extra spins and the Gates of Hell extra spins. Both features guarantee a great bonus payout but function in different ways. The Gates of Hell extra spins feature grants seven spins and causes one of the game symbols to be randomly revealed as a sticky wild for the duration of the seven rounds. The chosen symbol only becomes sticky on reels two to five but substitutes for all symbols during the extra spins. Additionally, each reel with four sticky wilds will earn you three additional extra spins, offering an even better chance of increasing your wins! The High Voltage extra spins feature awards 15 spins. Here, the High Voltage Wild may appear on reels two to five but you can also finish the entire bonus round without it ever showing up. The wild substitutes for all the symbols except the scatter and landing it will multiply adjacent wins between 11x and 60x. If you’re really lucky and land three more scatters during the extra spins, you will be awarded 15 additional extra spins. Hit the dance floor and play Danger High Voltage online anytime, anywhere using your mobile device, tablet or PC. Although the theme may seem a little all-over-the-place, a smoke-filled dance floor, and blaring disco music help keep things light and fun. Your biggest rewards will come from the Heart’s Desire scatters bonus rounds, so keep an eye out for those. However, they are paid at the original stake, so the Danger High Voltage online slot is a good choice for the high rollers!